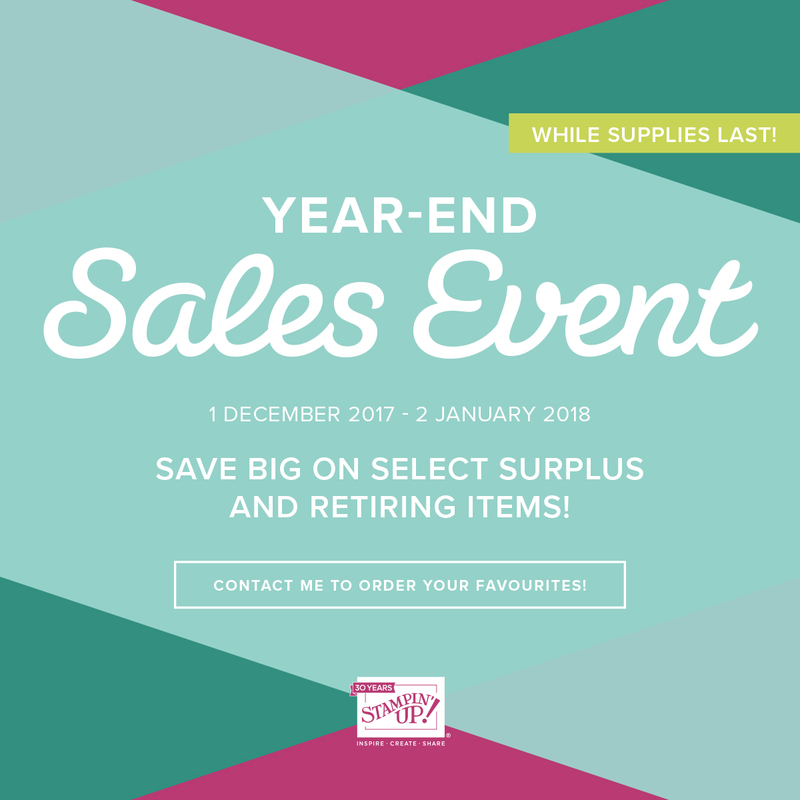 The Year-End Sales Event is our chance to do a little inventory cleaning—and your opportunity to take advantage of special year-end deals on retiring and surplus items. These exclusive offers help you save on select items and start your new year off with a bang! This promotion features a selection of items that are last-chance and limited-inventory, so be sure to place your order while supplies last! Contact me by email or click here to visit my online store to order now! Host sets can be purchased using only Stampin’ Rewards from a qualifying party and/or order.